check out this new video from Blood Orange Ft. Skepta with High Street. It’s courtesy of SSENSE-1 of my 5 favorite on-line shopping stores. My other 4 favorites are: Barneys, Mr. Porter, H&M and ASOS. I totally dig the English Accent in this Vid. Enjoy! See you on the HI and High Streetz. 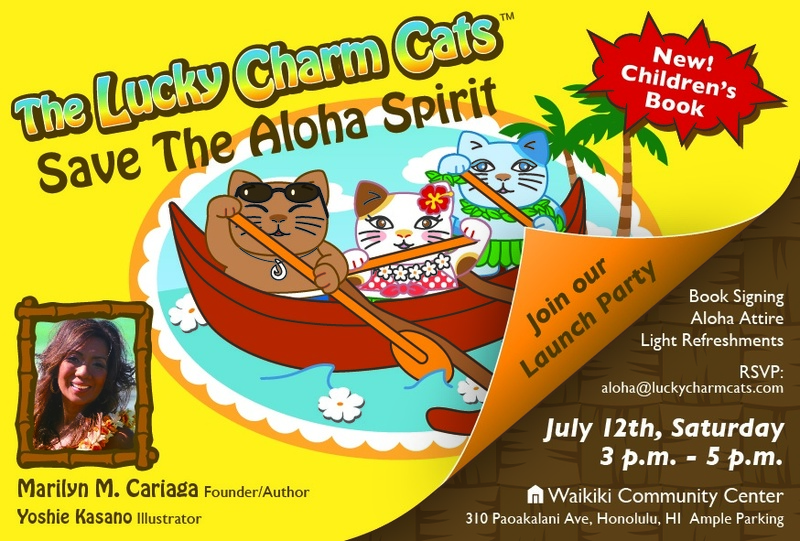 If you live or are visiting Oahu, Please stop by my friends Lucky Charm Cats Children’s book launch this Saturday July 12, 2014. 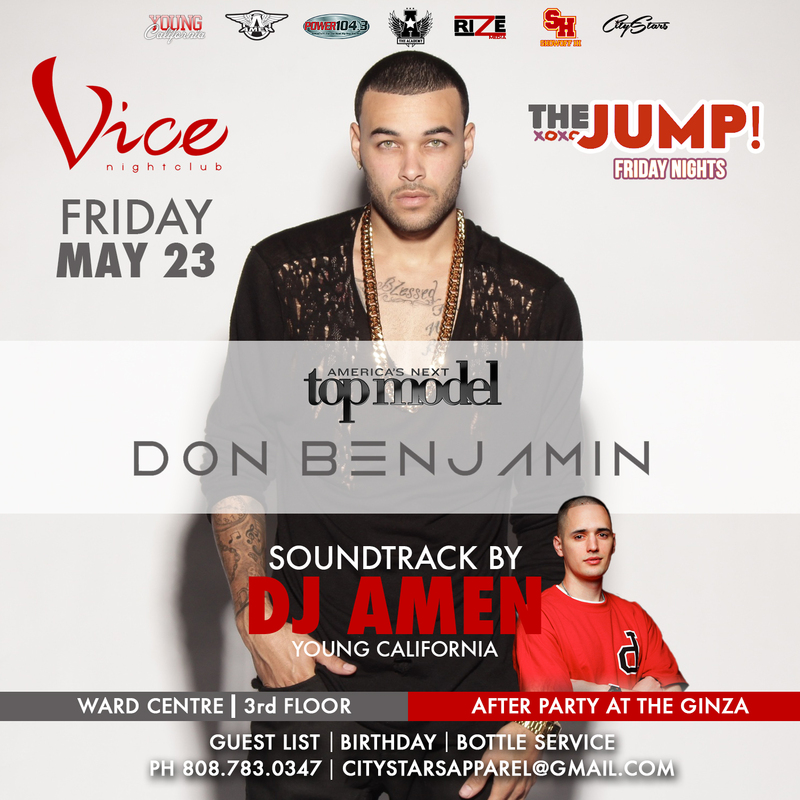 The special invitation is shown below, just print it out or screen shoot this page and I’ll see you there. Free food, music, drinks and more! The latest trend in Men’s Jewelry is the Pearl necklace rocked by both Mega-Man of the Moment Pharrell and the longest standing Main Man of Hip-Hop Jay-Z. What do you think of this trend? Rock or Not? I like pearls, especially the black opalescent Tahitian Pearls and some of the other pearls that change with the light. They are really dope when the light hits them and they completely change color. I say R-O-C-K. Check out Jay-Z’s kicks, they look to me to be the He Got Game Kicks that Jesus Shuttlesworth/Ray Allen wore and were the most spotted Retro Jordan’s in NYC by Streetzblog in December 2013. I may need to get a pair of those. They keep popping up and being seen by me way too much. Well, this is a hard one to admit, but I rocked some Pearls 17 years ago. I wore them to a family dinner in the suburbs of Chicago. I thought they looked real solid and something a Rock Star would wear. They were a strand of Greyish Black Pearls with a nice Silver chain. I seriously thought they looked very stylish. But, man I got teased right and left that night. I doubt I can find them now, but I did really have a nice lookin’ Pearl necklace. I think I nabbed it from my sister..LOL. And if it means anything, I’ve been wearing a small dark pearl earring and an opalescent Pearl earring in by left ear since November 2013. My Diamond is still in my right ear. I’d like to take credit for the new trend or no trend. But, let’s give the props to Pharrell and Jay-Z. This is not a commercial, but if you would like to get some Pearl earings or a necklace, Check out Na Hoku Jewelry at Ala Moana Center and make sure you ask for my favorite friendly store Sales Associate, SallyAnne. I always get my charms for my mom from her and I bought my two Pearl earrings from her too. 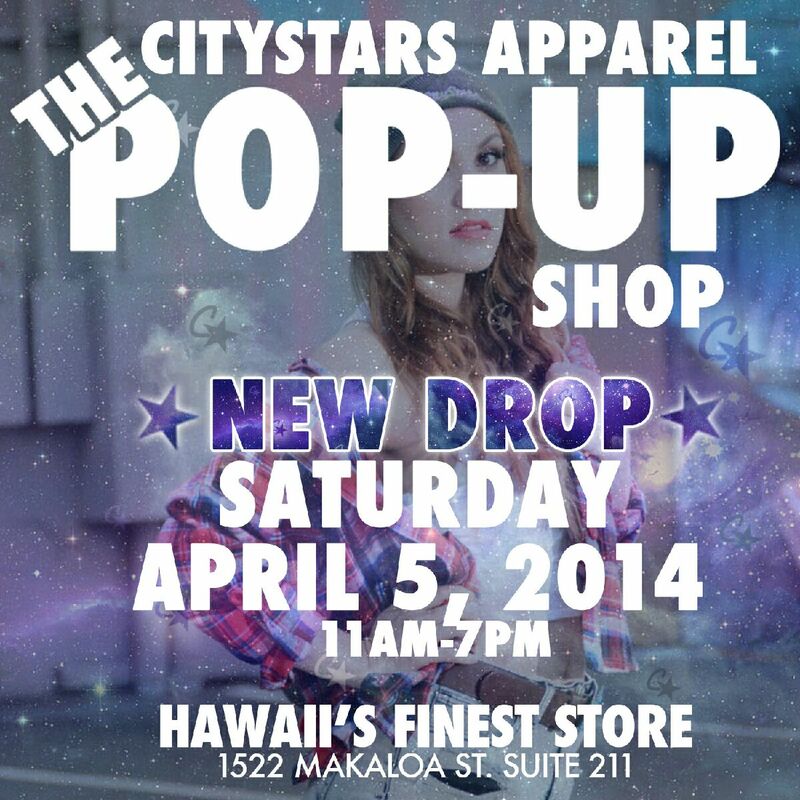 It’s not nearly as fun as seeing her in person, but you can check them out on-line if you live outside of Oahu. What do you think of the Pearls on guys Look? LMK. 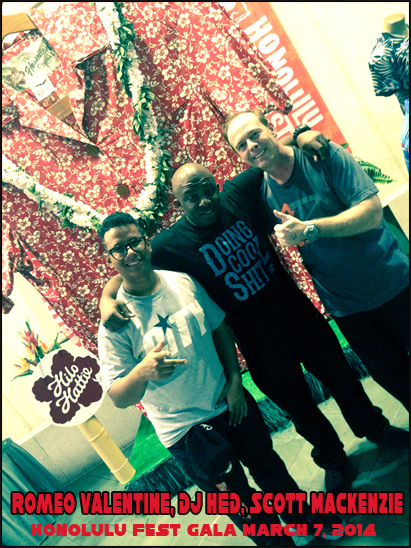 See you this weekend at the Harlem Globetrotters, University of Hawaii, and of course..either at the new H&M in Waikiki or Ala Moana Shopping Center. *This trend was spotted and tipped off to me by my friend Rolanda. $120 White and Dark Navy T’s! 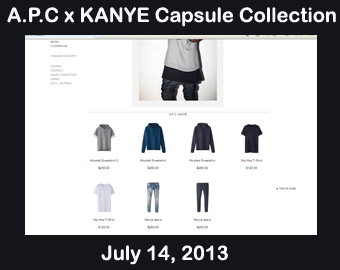 The A.P.C x Kanye West capsule collection came out on Sunday July 14th (Bastille Day) and SOLD OUT immediately, crashing the A.P.C web site. People also lined up outside of A.P.C’s Soho Store from 7AM which also sold out of the minimalist garments. When I say Minimalist I mean Minimalist. I checked out the site and the shirts that were sold out were PLAIN white and PLAIN dark navy blue “Hip-Hop T shirts!” Basically, nice fabric/Egyptian Cotton in extra long length-but no visual or logo on the outside! Just the inside tag has an A.P.C and KANYE on it. *When I go to New York I typically see a lot of advertising for A.P.C, but for some reason I’ve have never been to the Soho Store, maybe I’ll stop by in December 2013. The collection also included some hoodies and two pairs of Jeans. The T’s were $120 each! The short sleeve hoodie (Kanye wore prior to the sale) was $250, the long sleeve hoodie was $280 and the skinny jeans were $265-One Pair was faded the other clean, dark blue. Last I checked Ebay prices were double and even triple. But good news if you’re into these clothes you can still get some on a “Pre-Order” basis at A.P.C. But I think this sale wil end soon. I read somwhere that things will be on sale through this Wed July 17, 2013. Me, I will be passing on this. The stuff just wouldn’t look right on me. Especially the T’s, be careful of how they might fit on your body shape. Just because Kanye looks good in them with his Cement 3’s or own brand of Kicks, doesn’t mean we all will look good in the same clothes. But might be fun to try and order a few things if they are still available and sell them later on ebay. But by then, we’ll probably be on to something else. I think it’s pretty crazy how fast things sold and how there isn’t even a logo to let people know you paid $120 for a T! Maybe you could paint a big K on the Front. That’s what I’d do if I bought the “Hip-Hop” T- shirt. I’d make it a little “Punk”-Rock. I.A with Girls Just Wanna’ Have Fun! 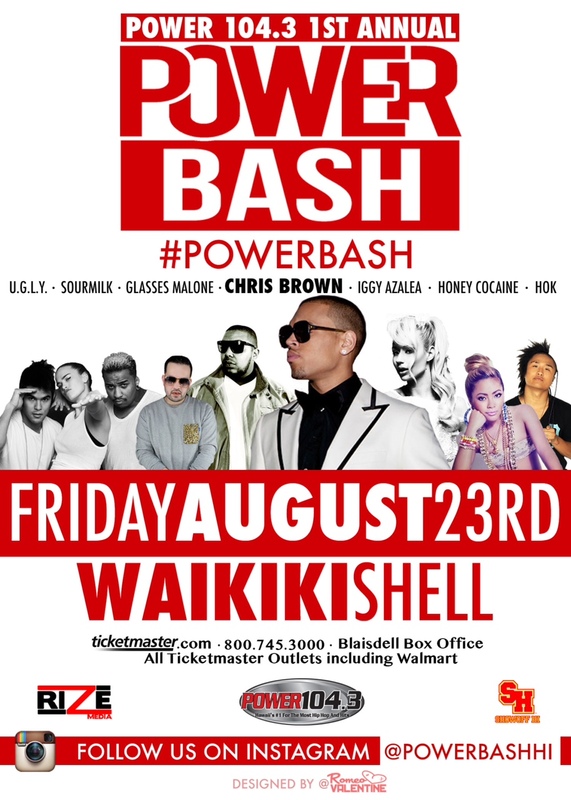 And a bit more information from the last HI on the streetz, Also appearing at the Power 104.3 stage at the NFL Block Party are: The BQ (The BeautiQueenGirls) Girls And still going strong after 18 years in the Hawaii scene, world renown DJ-GSpot. Here’s a couple vids from them. And just added to the special edition Eat the Street Pro Bowl Style @7PM Friday January 25, 2013 in Kakaako are I.A (As Seen above) and AV & The KinFolkz, Even though some of the vids on today’s page might be a bit PG, the shows at both Eat the Street and at the NFL Block Party will be still awesome, yet family friendly. And Don’t forget the rest of the Power 104.3 stage features with Hip-Hop’s newest sensation: walterFRENCH (“Bounce That”) and Superstar DJ Steve Aoki closing this year’s NFL Block Party with a full 1.5 hour set and he will also be doing a guest appearance sometime during halftime of this Years Pro Bowl. Train will be the Opening Act prior to the game. 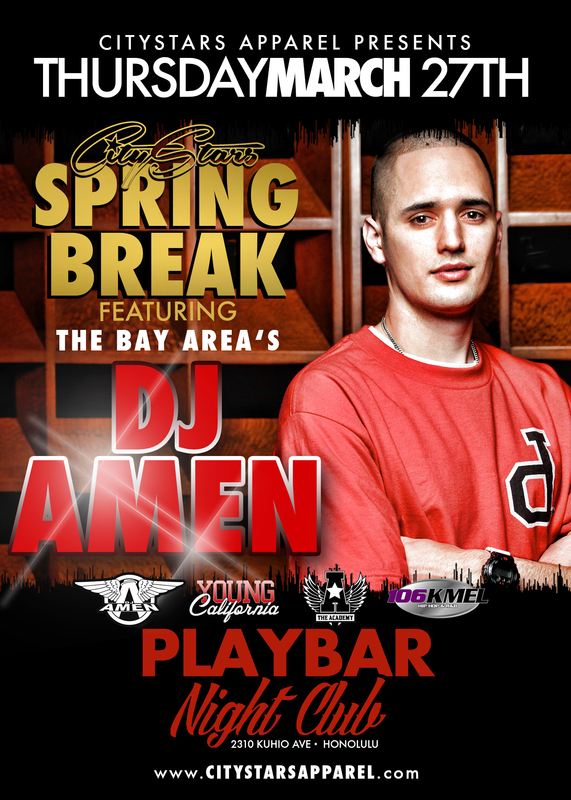 Get your tickets while they last at tickemaster.com. And last but not least newest news regarding Celebs hangin’ at this year’s NFL Pro Bowl is Akon will be in town on Saturday January 25 and who knows maybe he’ll be checking out the Block Party in Waikiki. 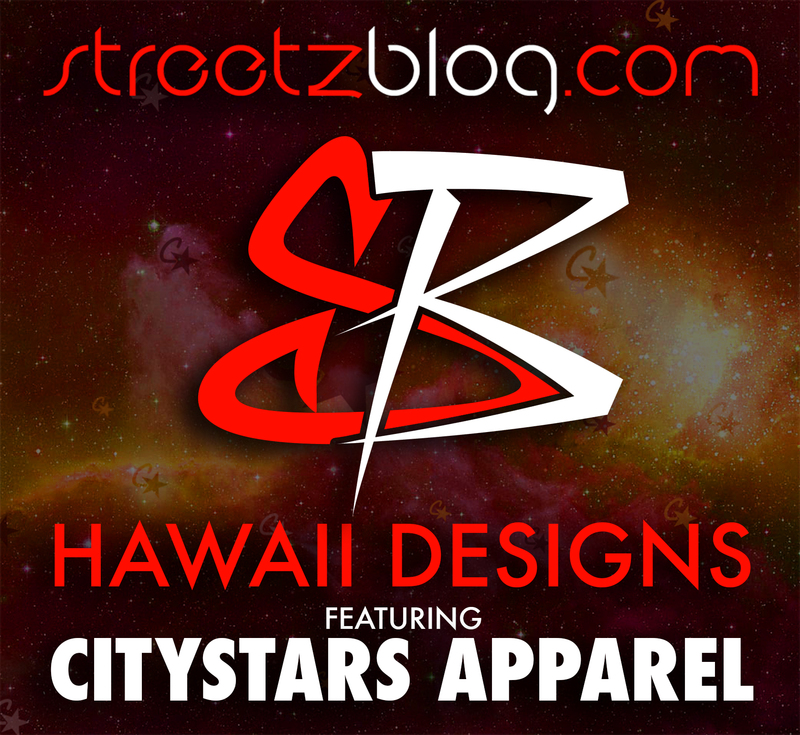 See you on the HI streetz!